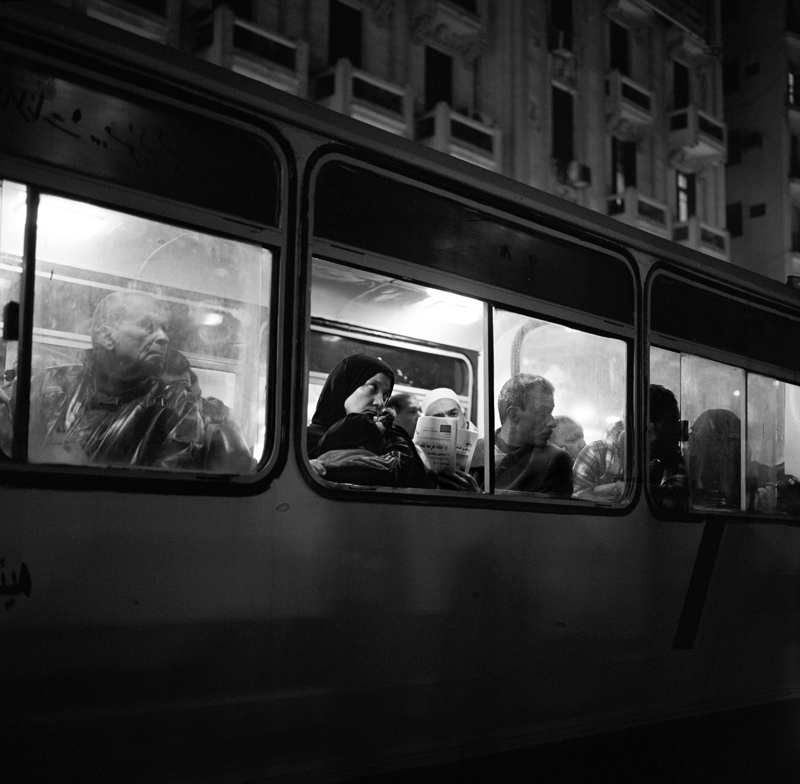 A woman watches from a bus as a demonstration takes place outside of a courthouse in Cairo. The demonstrators are protesting the continuation of bloodshed and the brutality of the military and police. The phrase "Couch Party” has been coined in Egypt to describe the silent and often uninvolved majority who sit and watch the protests on TV.